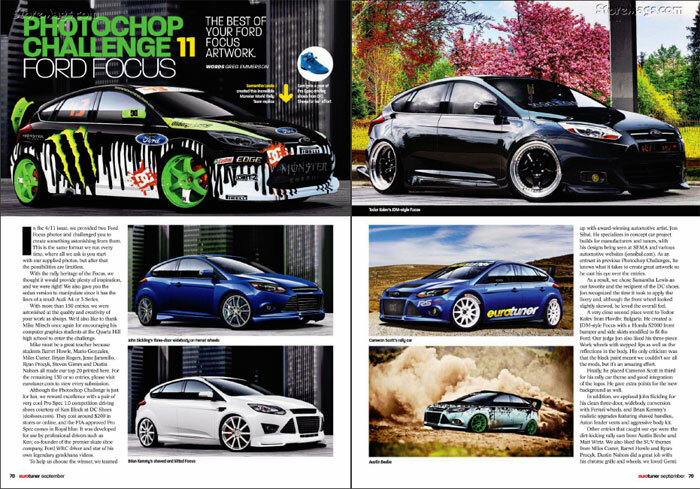 Eurotuner is all about European performance, styling and technology trends. They cover custom cars from Europe and the US. Eurotuner showcases European performance, styling, and technology trends; enthusiasts' thirst for performance; and in-depth technical analysis, show coverage, vehicle shootouts, and informative features on European vehicles, all with a focus on VW, Audi, BMW, Volvo, Mercedes and other European makes. 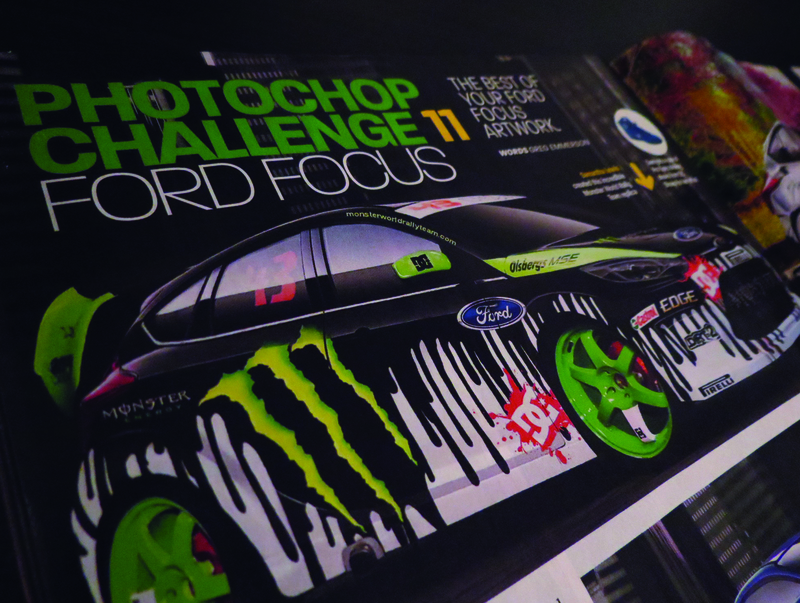 During the Photochop Challenge 11, Eurotuner provided two Ford Focus photos and challenged users to create something that would give the editors a wow factor. It is a re-occurring contest with different vehicle in mind, supplying reference concept photos of the vehicle to start off with with no design limitations. 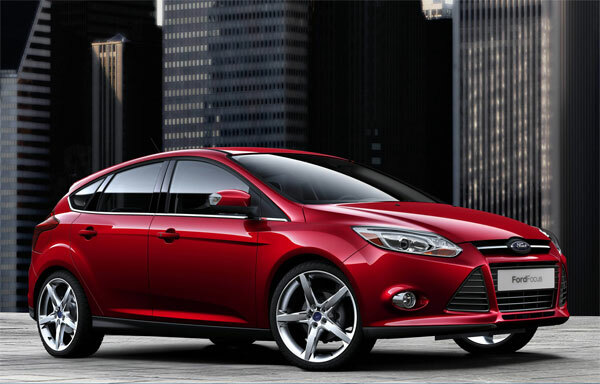 In this challenge they provided users a Ford Focus sedan to manipulate since it has the lines of a Audi A4 or BMW 3-Series. After results were polled, it was announced I was the 1st place winner in the contest and was featured in their April 2011 issue. I received recognition in their publication, social media and website. It was such an honor. 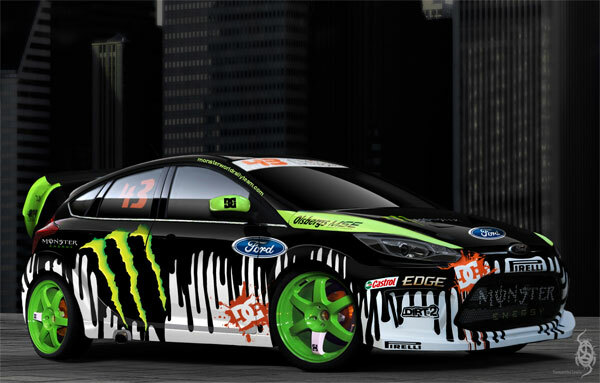 Their prize consisted of a pair of DC Shoes donated from Ken Block, founder of DC Shoes; at the time, the shoe size was too big for me! So they managed to let me pick a design of shoes of my choice.